What a cast Viking history has: Ragnar, Ivar the Boneless, Cnut, Harold Hardrada, Eric the Red, and his son Leif, Olav Tryggvason. Let us also not forget Snorri Sturluson without whom we would know next to nothing of the Norseman history and culture. This book is easily the best book on Viking history I have ever read. To qualify that, just look at my last name, and the fact that my father tried to name me Olaf. 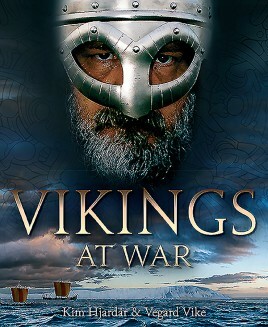 It purports to be a book about Vikings at war, but it is really so much more than that. It is really a book of this, and of Viking history. It is a history of not only the Vikings in northern Europe, but of everywhere the Vikings went, and it also goes deeply into the actual facts of Viking warfare. It has lists of all all of the Viking rulers and kings from Ireland to Russia. The book itself is a large 'coffee table' book that has on almost every page an illustration, map, or inset on some important person or weapon etc. This book escapes the deficit that most books on Vikings have about only talking about the Vikings in Britain, Ireland, and France. This book shows the history of the Vikings in the following: Spain, Ireland, Britain, Russia, and the Mediterranean. Most people would be surprised that the actual word Russia comes from a Viking ruler called Rus. The Vikings even had the temerity to attack right up to the gates of Constantinople, one of the largest and most fortified cities on the globe. Their ferocity in battle gained them a place of honor in the Byzantine emperors' Varangian (a word for Viking) guard. Harold Hardrada, the king of Norway, who led one of the Viking invasions of Britain in 1066 was a member of the guard in his youth. Don't think that the book's primary focus has been short changed. It is also a compendium of Viking weapons, strategy, and tactics. Separate chapters go into axes, spears, swords, and armor. Viking seafaring has not been left out either. 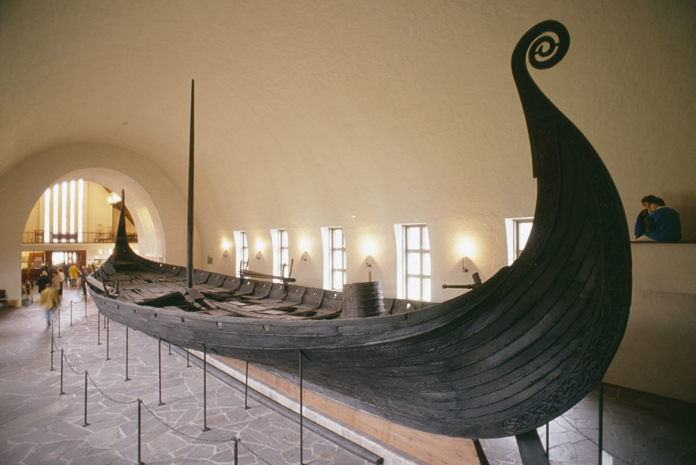 The authors explain how the Vikings actually got to the far flung lands they visited. Their different ship types and how they were sailed are also delved into. The authors should be proud. The book brings to life the Viking age, but also brings to life some of its main characters. Maybe with this book we can finally put to rest all of the silliness of horned helmets. Wearing one while wielding an axe or sword would be near impossible. The tale of Harold Sigurdsson, nicknamed Hardrada (hard counsel), is one of my favorites. His escape from Norway as a child, to his battles as part of the Byzantine army, and then his return to Norway to become king til his death at Stamford bridge is the stuff of legends. Their bravery on land is not to be questioned. However, it was their bravery at sea that is still more astounding. To take to the North Sea in their longships would have seemed to many others as pure madness. At a time when ships hugged the coast and put in every night for safety, the Vikings were sailing right in the middle of some of the roughest seas known to man.